There is no more challenging and rewarding career than law enforcement, but so few know where to start in order to break into this exciting field. Written by a seasoned law enforcement professional, The Everything Guide to Careers in Law Enforcement will help you navigate the application, hiring, and training process. This unique comprehensive handbook covers all aspects of job options available - from local and state police to National Park Rangers and Homeland Security officers. 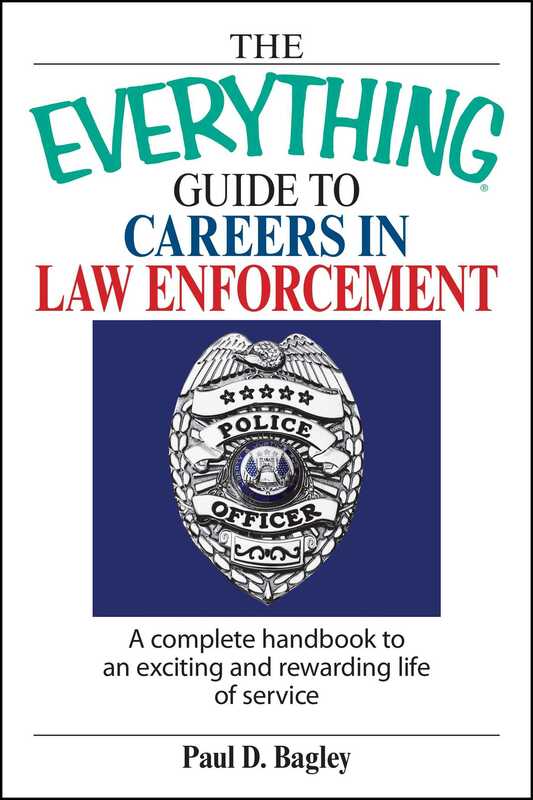 If you're curious about this rewarding yet unsung field, The Everything Guide to Careers in Law Enforcement is the accessible and essential guide you need to get started on your way to a fulfilling career!